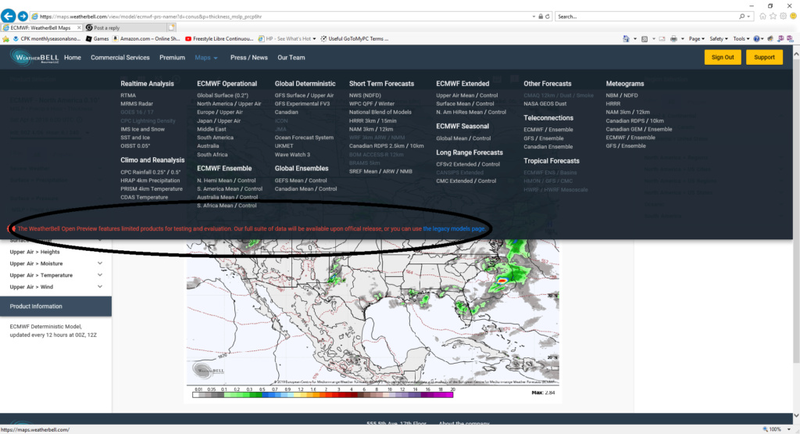 Anybody try the new Weather Bell site? Is it fully operational today? Im on it and it seems like they've lost a lot of stuff. I used to get the Euro Pressure with Thicknesses but Dont see Thicknesses there anymore. Overall Im not liking what I see. 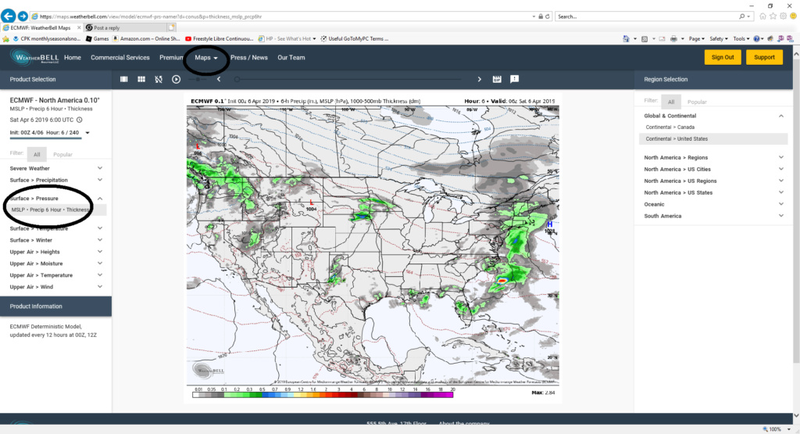 mmanisca wrote: Anybody try the new Weather Bell site? Is it fully operational today? Im on it and it seems like they've lost a lot of stuff. I used to get the Euro Pressure with Thicknesses but Dont see Thicknesses there anymore. Overall Im not liking what I see. Yeah its going to take some time to navigate everything. I did find the thicknesses along with pressure and precip. You have to be under the heading ECMF Operational and be zoomed out at least to CONUS view. I have it circled. Also when you hover the mouse over the tab MAPS you will see the statement at the bottom of the drop down box stating that there is still "limited products for testing etc. You can click on the "blue legacy link and go back to the old format still which is convenient. Hey man thanks for the information!! If yesterday was the release date you would have thought they would have had the entire product released. Well there no winter storms so it’s not a big deal. Actually they could have done this anytime this past winter.Lol. Anyhow I’m looking for lots of warm sunsh8me now! Thanks again!